I just got back to our new home here in Nyack, NY a day or two ago. I had a great time visiting family and friends, and now that I'm back, I'm getting anxious about getting our new home set up to inspire my creativity. This is one of my favorite photos that I found while I was digging through old drawings and photographs. 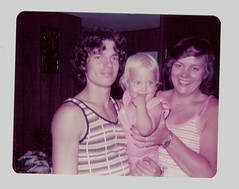 It's a picture of me, my dad, and my mom. 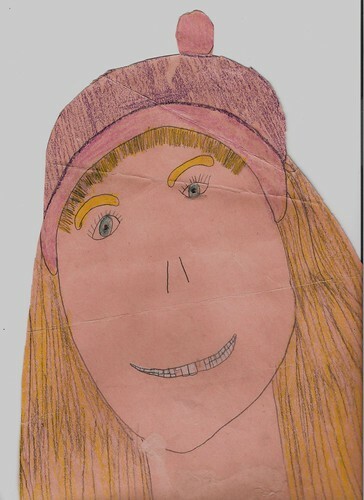 And this is a self-portrait that I created while I was in grade school.